The Cleveland Indians are willing to trade ace Corey Kluber. The Arizona Diamondbacks are willing to deal ace Zack Greinke. Which right-hander should New York Yankees general manager Brian Cashman pursue in a trade during the offseason? The MLB hot stove is heating up with rumors that a pair of aces are on the market. The Cleveland Indians are willing to part with right-hander Corey Kluber. The Arizona Diamondbacks are interested in moving right-hander Zack Greinke. Yankees general manager Brian Cashman wants to upgrade his starting rotation. 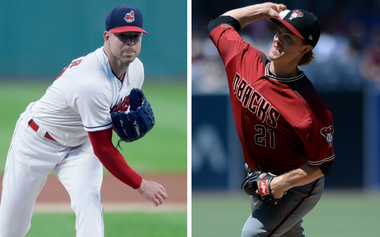 If he wants to pursue a trade, which ace is he better off chasing?